the lake at this venue is reminiscent of the lake and back of Eastnor Castle, in Herefordshire, where others of our musicians have played for weddings and corporate events. Being a historic Georgian manor house, in its earlier incarnations it would have had chamber groups, perhaps string quartets but quite likely chamber orchestras, playing for the entertainment of the family and their guests, whilst the family themselves would have probably entertained themselves singing around the piano. No television and plenty of money, what else would people do but enjoy music. I often wonder whether such buildings just happened to be acoustically good for music, whether because live music was so important in those days, the rooms were built with live music in mind. They can perhaps be a bit echoey for the modern ceilidh or barn dance band or jazz band who use amplification, but in the original form of the band where amplification was unnecessary because the band typically had eight or 10 musicians, the acoustics would have been perfect for an evening of Playford dancing. there are certainly a lot of magnificent buildings and gardens in this neck of the woods. This is yet another grade 2 listed building, with magnificent gardens that this string quartet will have played in during the drinks reception, and magnificent rooms with excellent acoustics for the wedding breakfast. I can't remember offhand whether the quartet played for the wedding ceremony. this is a particularly large and spacious barn, the sort of place that would easily host a large ceilidh or barn dance, but on this occasion the string quartet who are playing for the wedding. Barns, like stately homes, generally have good acoustics for unamplified music, so the string quartet could make themselves heard quite easily. An ancient town on the Lymington River, which has become a popular yachting centre, with a year-old the street leading down to the harbour, a railway station on the other side of the basin, so that awkward to get to, and a sensible Main Street plenty of coffee shops. Its tidal harbour is usually crammed to capacity with yachts. Each Saturday a market is held along the main street. Lymington has a sports ground and a large open-air swimming pool (which looks lovely, but a bit cold when I last walked past it in early October). Pier Station is the departure point for car ferries to the Isle of Wight. Being a yachting centre, is always a lot going on, and often there are events of all kinds requiring a jazz band or barn dance band. A popular residential village, with a ford in the main street. The church is typical of the area, built on a mound in a mixture of Norman and Early English styles. A yew tree in the churchyard is said to be more than a thousand years old. On the outskirts of the village is a large hotel, the Balmer Lawn, where forest ponies approach close. Brockenhurst Manor Golf Club has one of the most beautiful heathland courses in Britain. And my eldest son was married in the new Forest, (I played my violin the ceremony), between ceremony and reception we went into the forest search for ponies and take some scenic photographs. I wonder if new Forest ponies featured in any way and the barn dance at this wedding? located within Ocean Village, with its shops, restaurants and entertainment venues, this is the home of oceangoing sailor's. The club was given a Royal Charter in 1875, will have seen a change of the musical style of grand entertainment in the late 1800s the soul and Motown Jazz band of the present day. there are many events that celebrate the sinking of the Titanic, (it's a very British thing to celebrate disasters and often ignore successes, isn't it). Of course, the Titanic was a music venue par excellence. Live music in those days was much more pervasive than now, as recorded music and sound systems were in their infancy. Also it was a floating venue for the rich (until it sank). I wonder if the musicians of the string quartet felt as I did when I played some years ago at a different venue, for a Titanic commemoration? If you've ever seen the film, Titanic, you may recall that there was a string trio I think it was rather than string quartet, but as the ship sank they continued playing music, until the musicians started to slide down the deck, at which point they shook hands and drowned. I was very tempted to wear a life jacket the performance, but probably that wouldn't have gone down so well, or at least not as well as the ship itself when down. the church itself is a large, steeple stone built church. The centre itself has a wooden floor ideal for ceilidhs and barn dances, which certainly used to have tennis or badminton court laid out on it, which is always useful for the dancers to align themselves when the caller tells them to get into long sets. Perhaps they ought to paint concentric circles on the floor as well, so that the circle dances, the bands caller can tell them to align themselves with the circle. It's amazing what strange shapes you get when you ask people to form themselves into a circle! this clearly is a major wedding venue in the area. a village hall and delightful surroundings, between the two mediaeval cities of Salisbury and Winchester, with Andover and Romilly to North and South. yet another magnificent mansion, where music would have been an integral part of the life of the family, which began with Edmund Clerke, who got it as a present from King Henry VIII himself (who was a talented musician and composer, some of whose music I have played). It passed through various owners, including the Duke of Chandos, (there is a musical connection here. There is a Symphony Orchestra based in great Malvern, Worcestershire, called the chandos Symphony Orchestra, which I've played in on many occasions). So the string Duo the plate for this wedding ceremony and wedding reception would have felt completely at home here. marquee is always great for ceilidhs and barn dances, so long as the floor is reasonably smooth and level and the matting has been pegged and probably. Here there is no problem, as the grounds are well attended, but when you get this sort of event in a marquee on the farm, it can sometimes be "interesting"
this is a wall and a half. Most village halls have one main room which hosts the meal and the dancing. This village hall has three rooms or suites. The first in old up to 50 people, the next has a capacity of 240 people the concerts and a hundred and 50 people for dancing to a jazz band or barn dance band, and then yet another room which can hold up to 80 people. Do they ever have all three rooms hosting independent musical events at the same time? I just wonder, as there is hotel near to where I live that hosts up to 4 weddings simultaneously. 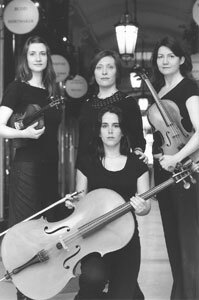 When I've played there with my string quartet or ceilidh band, you can sometimes hear other events going on, and if you go out the part of the building that you performing in, you can bump into a number of ladies in white dresses who have nothing to do with the wedding that you're performing at. It can be all very confusing. our ceilidh band was playing for the evening entertainment at this wedding, but the venue regularly hosts birthdays, christening's anniversaries and family gatherings as well. The barn room is large and open and ideal for this sort of dance. and here's another time, with the same band playing for another wedding. It can be useful for band to be familiar with the venue, but all bands on our website a very experienced and can set up and make the best use of any venue in no time at all. and here we have a string quartet playing for the wedding ceremony, the drinks reception and the wedding breakfast. If you're going to hire a string quartet, is most cost-effective to get them to play for all three parts of your wedding day, as they charge a minimum amount going out on that day and it is relatively less expensive per hour thereafter. So is always satisfying to get the best value, and of course for you and your guests you can get wall-to-wall music which is a great enhancement for any kind of special event, not just weddings. Saxon England's capital. The centre of Hampshire in every way is Winchester, for centuries the capital of Saxon and Norman Kings of England and still a city of history and charm, dominated by its long, grey-backed cathedral. Even when the Normans finally moved their capital to London, Parliament continued to meet often at Winchester and in 1485, Henry VII had his first son christened in the cathedral. Long before King Alfred, whose statue today dominates the city's Broadway, made his capital at Winchester, the site on the downs on the west bank of the River Itchen was an important Belgic settlement. Under the Romans, Venta Belgarum became the fifth-largest city in Britain, and parts of the medieval city walls are of Roman origin. The building of Winchester Cathedral was begun in 1079 on a sitc adjacent to that of an earlier Saxon church. Consecration took place in 1093, and extensions continued until about 1525. At 556 ft it is one of the longest cathedrals in Europe. Its design blends several styles, from the Norman transepts to the huge Perpendicular nave, transformed from its Norman original under Bishop William of Wykeham. Throughout the Middle Ages, Winchester and St Swithin's Shrine in its cathedral formed an important centre for pilgrims from the Continent on their way to Becket's Shrine in Canterbury. The cathedral's treasures include no fewer than seven elaborately carved chantry chapels, endowed for the singing of special masses; mortuary chests enclosing the bones of ancient kings; medieval wall-paintings; stained glass; and a square 12th-century black marble font with carved scenes from the life of St Nicholas. The cathedral library contains a loth-century copy of Bede's Ecclesiastical History and the rath-century Winchester Bible. Music has always been an important part of religious ceremonies, starting with vocal music, extending to the organ, with church bands made up of fiddles and cellos typical in the Thomas Hardy period (Hardy was a musician himself and collected traditional music), right up to today where church bands can be full-blown rock bands, and churches themselves are amongst the few remaining public music venues. The grandeur of the cathedral is enhanced by the spacious lawns which set it well apart from the remainder of the city. In the cathedral Close are a deanery dating back to the i3th century, a Pilgrim's Hall, where pilgrims lodged in the Middle Ages on their way to Canterbury, and the half-timbered Cheyne Court, a Tudor building partly set into the medieval city walls. Winchester is rich in architecture from every period after the I3th century, and particularly in Queen Anne and Georgian buildings. The River Itchen flows swiftly through the city, fringed by attractive riverside walks and gardens, and the sight and sound of gaily running water is never far distant. Separated from the river by part of the old city walls are the remains of Wolvesey Castle, the former Bishop's residence, which stand next to the present partly 17th-century Bishop's Palace. South of the castle is Winchester College, founded by Bishop William of Wykeham in 1382 and one of the oldest public schools in the country. the churches in one of those imposing buildings the front directly onto the street with Windows to make it feel that it is looking at, or through you. A great place for a ceilidh. a modern hotel with elegant spa pools and indoor palm trees. The pool isn't where the covers band performed, fortunately, but I do remember playing with my string quartet in a swimming pool building. It was totally ridiculous, not because we were playing by the side of the pool, but because the building was so resonant it sounded as if there were three or four customers playing in different parts of the room and knotting in total time with each other. Don't play string quartets in an indoor swimming pool! Jazz bands and jazz trios are particularly good for playing at fetes, because the instruments they use tend to produce a lot of volume. Folk bands are okay as well, but in either case the event organiser have to provide a large gazebo or some other cover to go over the band's equipment, just in case it rains, not that it would ever do that on a good old British fete. this is not a fine building with a main room with high ceiling, beautiful windows along one side and even a balconied gallery, minstrel's gallery. I don't know and whether string quartets ever play from the gallery, but it will be rather fine. 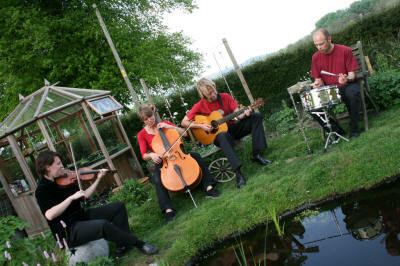 On both these occasions entertainment was provided by a ceilidh band, in one case a traditional Scottish band. new Hall at Winchester College, is a major music venue hosting symphony orchestras Winchester College Chapel choir and many other musical events. It can be laid out as a concert hall with raked seating, which folds away to leave enormous dance venue. Behind Christchurch Quay stands the splendid priory church, its structure a blend of styles from Saxon times to the Renaissance. Its choir stalls are older than those in Westminster Abbey, and there is a monument to the poet Shelley. The town has the remains of a Norman house and castle, and the Red House Museum contains exhibits drawn from the geology and wildlife of the area. A 2-mile walk towards Bournemouth leads to Hengistbury Head, an observation point for bird migrations. What is Alsford famous for? Is the watercress festival, where stalls line the main street. this is just a wedding venue, it a vineyard as well, originally given to Rafter Mortimer by William the Conqueror. Estate from Elizabethan times in some parts as early as the 15th century. This village, high up the navigable part of the River Hamble, has a reputation for locally grown strawberries. There are old houses on a wide main street, and a memorial to William Cobbett, the 19th-century author of Rural Rides. The foremost passenger port for ships in Britain. It has an important modern university, the original buildings of which are literally 'red brick', and a great wealth of historic monuments, sites and remains. Although much damaged by bombing in the Second World Wrar, the ramparts and medieval houses down by the Royal Pier are intact. A worthwhile walk (best in the early evening) is along the ancient city walls, which bear many plaques and legends of historic events. The city is rich in seafaring history: armies sailed from here during the Hundred Years' War and the Pilgrim Fathers stopped here on the way from Boston in Lincolnshire to Plymouth, before setting sail for America. Southampton is a fine mixture of the old and the new, and has more than i ooo acres of open spaces, including parks, rock gardens and riverside walks. Southampton Water provides a splendid, ever-shifting scene of shipping, ranging from the elegance of liners to bulky oil tankers. Ferries run from the Royal Pier in Southampton to Cowes, a journey of 55 minutes, and a pageant of ships can be seen on The Solent which, because of the'burfer' made by the Isle of Wight, has four high tides a day.